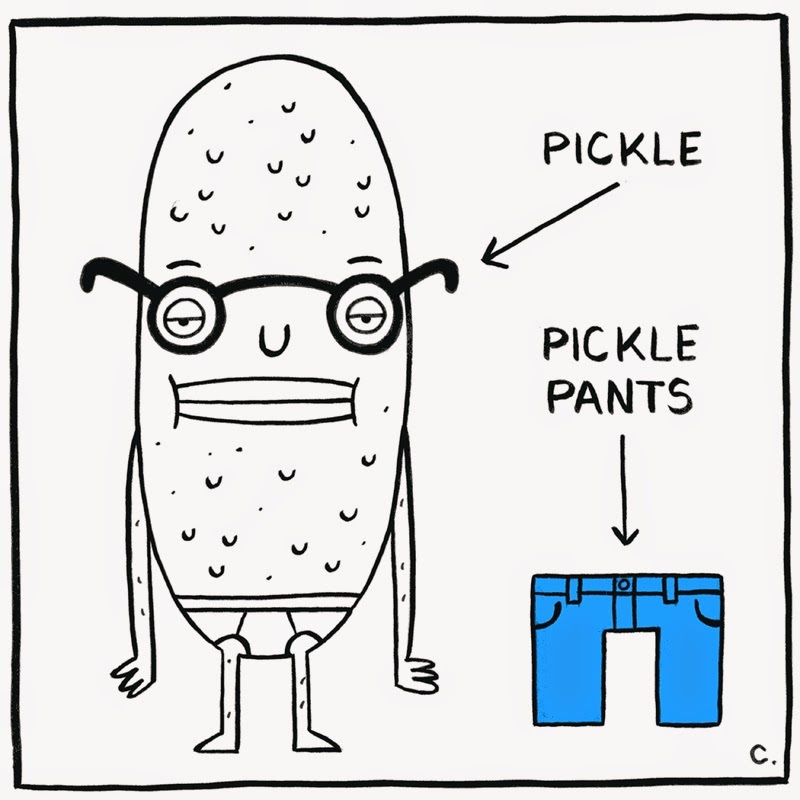 Pickles wear pickle pants, go figure. Do you ever have one of those moments when you look at a piece of art you just created and think, "This is really good!" Well, this was not one of those moments for me. I'm sitting here with my 13 year old and my four year old and we are all cracking up! You are SO talented and have such a great imagination. We just wanted to tell you, doodle on funny man. DOODLE ON! Rochelle, thank you so much! This is wonderful to hear. I'm glad my silly little doodles bring smiles to your faces.